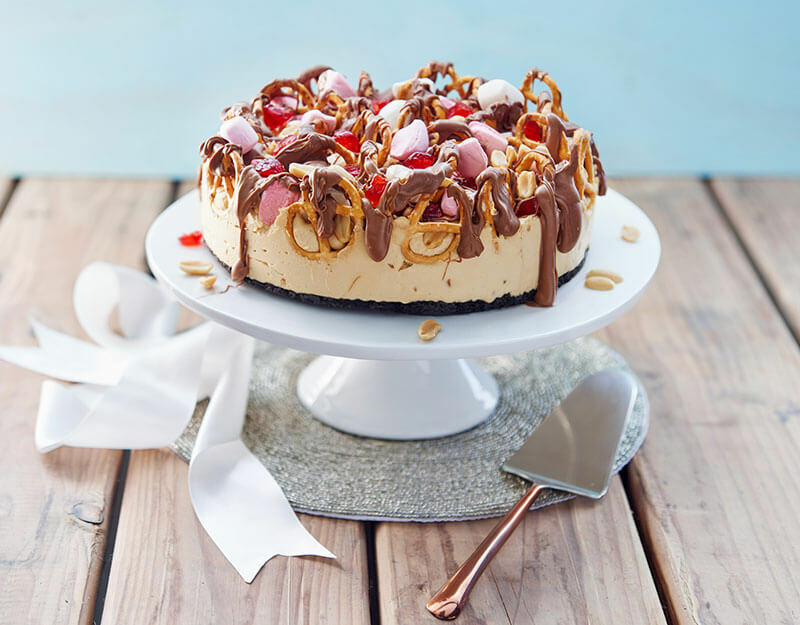 Enjoy a slice of this delicious rocky road cheesecake with friends, it’s moreish but worth it! Combine the OREO crumbs and butter then press into the base of a greased and base lined 22cm round spring form pan. Chill. Beat the PHILLY and sugar with an electric mixer until smooth. Stir in the gelatine then the peanut butter. Fold through the whipped cream. Spoon mixture over the prepared base. Decorate with the pretzels , marshmallows, cherries and peanuts. Refrigerate for 3 hours or until set. Drizzle with the chocolate just prior to serving.